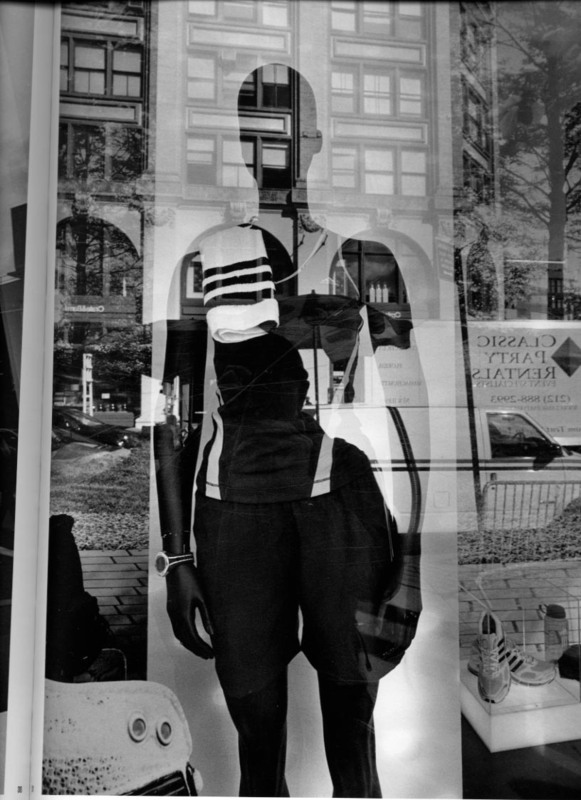 Lee Friedlander’s new book “Mannequin” arrived this week—a book precisely described by the title—103 photographs of Mannequins, all of them from store windows, and nearly all of them female. The one surprise in the book is the fact that only one image in the entire book was made before 2009—Friedlander’s use of the reflections from windows to create layered pictures has been one of his standard motifs over his entire career—but when I went looking in his previous books, I could find almost no mannequins—lots of glass with human figures behind, lots of posters and photographs of people behind the glass—but only a handful of images that could be considered mannequins. 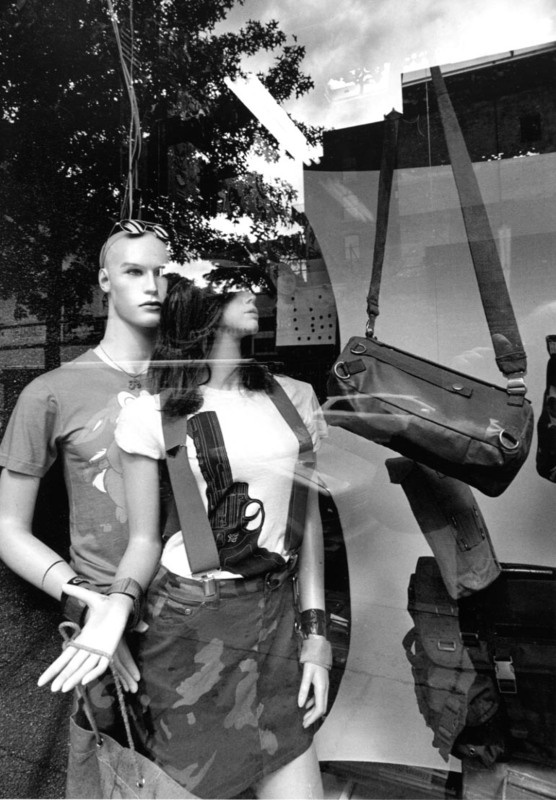 Perhaps the reason is that Friedlander has, until now, been largely focused on unintended juxtapositions—but the only place mannequins are used are in carefully arranged displays in mostly upscale shopping districts—a landscape that Friedlander has not shown much interest in up to this point. The only male mannequin appears as fey and frail, with a fluffy bunny on his t-shirt, timidly touching the hip of the female form in front of him—a bold, dashing figure with a huge gun coming out of her camouflage skirt—a woman off to conquer the world, completely uninterested in the man she is obviously leaving behind. Friedlander has always been a contrarian, always showing us things that we mostly pass without seeing. The years since 2009 have not been kind to many, as the bank crisis, the housing market collapse, and the loss of jobs have affected many. The mannequins, though, are still on the job, trying to sell whatever is placed on them, looking outward with indifference that seems often to border on scorn. The mannequins always seem to be living the life of the young, beautiful and rich. Our lives are on the other side of the glass—we can’t touch what they have—we are not so protected.